It’s been a summer of major updates to disappointing games from last year. No Man’s Sky is finally delivering on its promises to PC and PlayStation players a year since it came out. 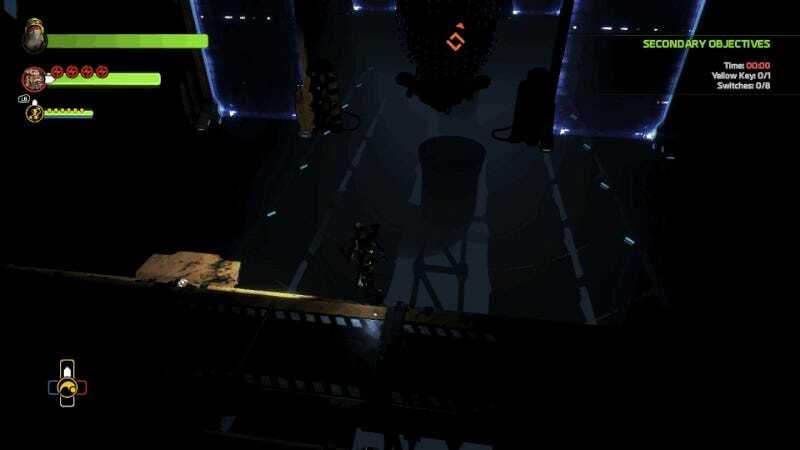 Over on Xbox, ReCore has done penance for its flawed launch with a six gigabyte update that makes the game better, though far from free of flaws. For a couple of years, No Man’s Sky’s developers over-promised through the gaming press and Stephen Colbert. The Metroid + Mega Man mashup ReCore did the same thing via its box art, which featured illustrations of five robot companions but shipped with a game disc that only featured four. The game calls the robots “frames,” as they’re chassis for artificially intelligent orbs that can inhabit the shape of a robo-dog, robo-spider, robo-bird and robo-gorilla. As part of the new update, the robo-treaded-tank called T8-NK brings the number of frames up to five. All the game’s robot frames, together at last. Spider’s still the best. The promises about No Man’s Sky were more glorious, its arrival a high-profile fiasco and therefore its recent recovery a better comeback story. ReCore was fun from the start but suffered from bad loading times, questionable mission-gating and an overall lack of polish, to say nothing of its obviously missing content. But it was No Man’s Sky that was a hit. That game had a lively community that caught flame upon the game’s release, and a significant number of those people stuck around to cheer this summer’s update. ReCore’s retail box. T8-NK was featured on it, but didn’t get added to the game until nearly a year later. ReCore’s big new update shows the risk of fixing this kind of ship while it’s out at sea. The game’s subreddit quieted long ago and despite the fact that the update is more of an expansion than a patch, it landed quietly. Even if few are playing it, the expansion helps the game a lot. For starters, T8-NK is good. You can ride him through ReCore’s vast desert zones and get to places more quickly. It’s both pleasing and an indictment, since it highlights the fact that releasing ReCore last year without T8-NK was like releasing The Witcher 3 without the horse. You can also use the tank to ram enemies or have it drive alongside you, casting a shield on your protagonist while lobbing rockets at enemies. 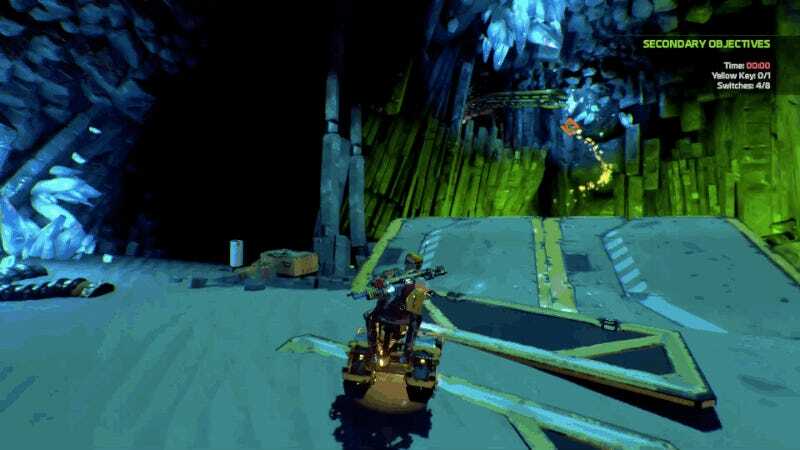 The addition of a ride-able tank has inspired the designers to create a batch of new chase missions that have you jumping off ramps in pursuit of flying orbs. The chases are a little janky but decent fun, and they typically end just before they wear out their welcome. T8-NK isn’t the only thing in the meaty update. Last September, players could tell that T8-NK was cut from the game by glitching their way into a small area of the map that sure seemed to need something like a tank to access, so it seemed like the addition of T8-NK would make that nook reachable. The update also uses that small zone as warp point to a striking, much larger zone called Starving Sea that is full of loot, enemies, several new missions and a short drive’s worth of audio logs. The new zone’s dark skies and imposing superstructures are a reminder that ReCore has always had good art direction. The new area involves a new side-plot to investigate the fate of a robot kidnapped by an evil cult, though in the game itself it plays out as a series of new platforming, combat and driving challenges. As before, you’re running across the desert or climbing through caves, marshalling your robo-pals to help you fight and explore. If you’re a fan of the Metroid Prime side of ReCore’s parentage, you’d enjoy the addition of three new shooting modes for Joule’s rifle, which combine with the existing three color-coded modes of fire to turn encounters into even more of a shooting puzzle. Before, players could mostly concern themselves with switching beam colors to shoot same-colored enemies for max damage. Now there’s a choice to switch from shots that pierce armor to shots that arc like grenades to shots that splits as the player tags multiple targets. After the update, ReCore is one morph ball roll closer to toggling visors and beams. Putting the new split-shot to use to target two enemies at once. If you’re more into the Mega Man side of things, you might enjoy the new addition’s difficult and questionable jumping puzzles. Hmm. To each their own. Microsoft has labeled the 6GB additions being made to ReCore as an upgrade to the game’s “Definitive Edition” and has boasted of graphical improvements in resolution and high-dynamic range lighting. That’s lost on a regular HDTV owner like me. Really, it’d just have been nice if this game that crashed when being reviewed a year ago didn’t crash at a key moment again while I played the expansion. But it did. It’d also be nice if it didn’t become glitched once each of the last two nights, requiring a quick suicide or fast-travel stop to reset. The game is still technically rough, which is inexplicable given the timing of this update. The launch version of ReCore on Xbox One had load times long enough for bathroom breaks. Early patches helped and this new one slashes them more, leading to near-instant revival during combat deaths. It still leaves fast-travel between zones at 40 seconds to one minute. Thankfully, some smart changes to the map and to the amount of inventory and party management you can do at fast-travel stations makes it less necessary to leave one zone to go to another. Less need to travel makes the longer load times less of a liability. 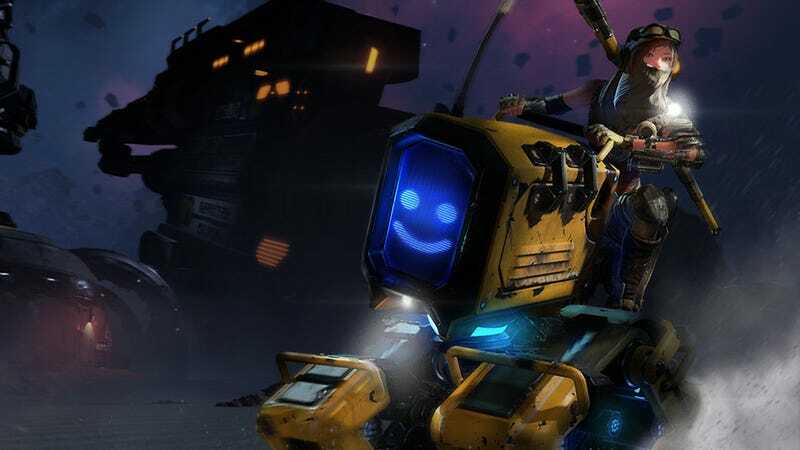 Given its pedigree, given that it was made by people who made great Metroid and Mega Man games, ReCore still feels like it should have been much better. It always merged good art direction with some satisfying and slightly puzzle-oriented shooting and jumping action and it always suffered from that being offset with some some overly hostile level design and load times so long they sabotaged the game’s backtracking-centric design. The new update lessens the bad and adds some mostly good. It doesn’t solve ReCore’s problems but makes the overall game far easier to recommend. It’s a better game now. Some will say that we should never have been sold a version of ReCore worse than this new one. Perhaps, but if the business model supports it, if creators can take advantage of reworking their game a year later and if we have not yet hurtled into the sun, better late than not at all. Next time, though, probably best to avoid putting characters on the box if they won’t be in the game for a year.